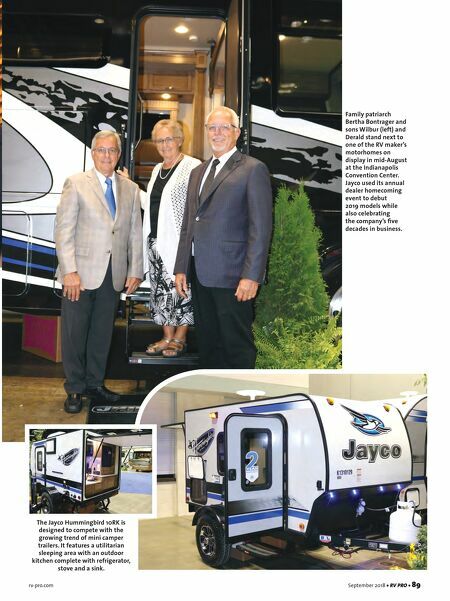 rv-pro.com September 2018 • RV PRO • 89 The Jayco Hummingbird 10RK is designed to compete with the growing trend of mini camper trailers. It features a utilitarian sleeping area with an outdoor kitchen complete with refrigerator, stove and a sink. Family patriarch Bertha Bontrager and sons Wilbur (left) and Derald stand next to one of the RV maker's motorhomes on display in mid-August at the Indianapolis Convention Center. 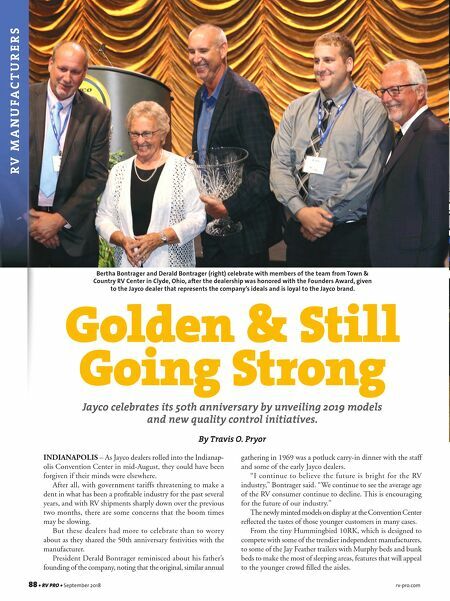 Jayco used its annual dealer homecoming event to debut 2019 models while also celebrating the company's five decades in business.